Consumers are Trying to Eat Healthier, but Still Want Their Treats! From donuts to danish, consumers still like to satisfy their sweet tooth. Despite all the hype about healthier eating, people still want their sweet treats. And they are more popular than ever. Consider the sweets trends over the past few years: the cupcake craze, cake pops’ popularity, the small but mighty almond macaron, and “Insomnia Cookies.” These round-the-clock snacks came about in 2003 at the University of Pennsylvania with an undergraduate at delivering warm, fresh, cookies as a late-night snack to college students. They’ve now grown to a delivery and retail business in more than 25 states with more than 100 store locations. You can purchase cookies as a 9 a.m. morning treat or a 3 a.m. late-night snack. 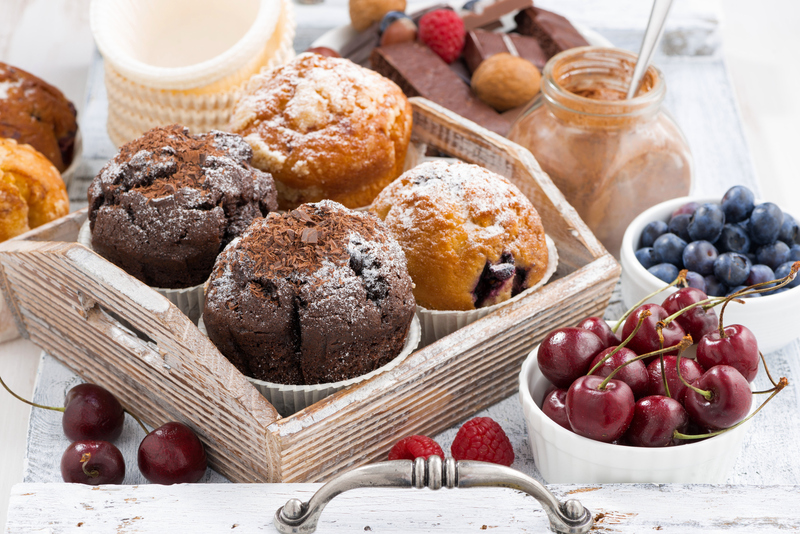 Some consumers today don’t want to gorge so much as they want to graze, and so mini versions of cookies, cupcakes, donuts and other sweets are popular. And while ‘guilt-free’ options are appreciated by consumers, focusing solely on healthy can mean missed sales and customer satisfaction opportunities for those who still want the comfort of a traditional favorite. Bakers Pride has been making fresh bakery goods since 1991, and our commitment to high-quality products and extraordinary customer service means we’re always looking for new ways to satisfy just about any taste bud. Contact us today and let us help you provide a perfect blend of dazzling treats for your employees, customers, or guests.